What’s better than a really bloody good gin? A really bloody good gin which donates 15% of its profits to charidee, of course. 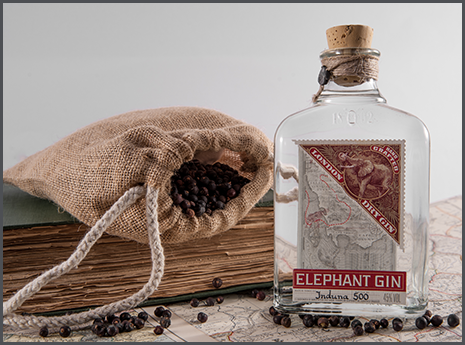 Elephant Gin (45% ABV) is created by three friends who, following their own adventures in Africa, felt passionate about what they saw and wanted to help elephant conservation trusts. What’s more, this tastes really rather excellent, too. Using a whopping fourteen botanicals, including some rarities from the African Savannah, Elephant Gin is fruity, floral and spicy and best served with a wedge of apple. The next time you’re stocking up on gin, give this one a go. You’ll be helping to save the lives of Africa’s great elephants, and you’ll have a cracking drink in hand while you do it.